A four-day tour of the charming Christmas markets in the Spanish city of Barcelona, the second largest city in the country and a major global destination, is an ideal way to celebrate the festivities of the holiday season. Barcelona is nestled between the mouths of two rivers, the Besos and Llobregat, and offers a wide range of cultural and historical sites to suit nearly any traveller’s holiday wishes. Let the fun begin with Christmas in Barcelona, through the guidance of Newmarket Holidays. The tour begins with a flight to Barcelona, where guests can settle into their chosen accommodation. The evening can be spent tasting the famous Catalan cuisine, lingering over delightful plates of tapas and enjoying local beverages at any number of restaurants nearby. A good night’s rest awaits guests at the good quality hotels available for this package. The first full day in Barcelona begins with a guided sightseeing tour provided by Newmarket Holidays’ knowledgeable and professional guides, which will include some of the most famous and cherished sites in this Olympic city. View monuments and striking modern buildings, hear tales of Christmas lore Barcelona-style and get a sense of the unique nuances of a distinctly Catalan Christmas. 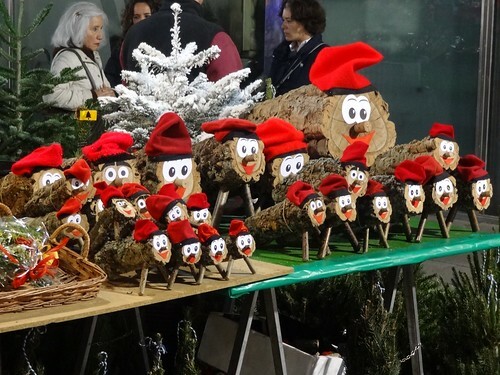 During the latter part of the day, wander through the delightful Christmas offerings at the Fira de Santa Llucia Christmas market, or take a leisurely stroll down Barcelona’s most famous street, La Rambla, soaking in the local colour or window-shopping for that perfect gift. Day Three brings customers the opportunity to relax, wander around other Christmas markets such as Fira de Nadal Christmas market at the Sagrada Familia, or take an optional half-day excursion to the centuries-old, mountainside Benedictine Abbey of Montserrat. This excursion offers stunning views and a rich history in Spain’s first national park. The fourth and final day of the Newmarket Holidays’ Christmas Markets of Barcelona tour finds guests enjoying their last bit of time in Barcelona’s unique and charming atmosphere, before heading off to the airport for departing flights. The ideal holiday is waiting for customers of Newmarket Holidays. Its professional and helpful customer service team is at the ready to help select an unforgettable Christmas Market tour of destinations such as Barcelona, Spain. With plenty of time for taking in the festive sights, sounds and flavours of this Catalan city, an informative guided tour and the optional excursion to Montserrat, a rich experience awaits guests in Barcelona. Tour some of London's most celebrated palaces and majestic homes on this 2-day coach holiday. These popular tours offer guests a rare look behind the curtains of British influence and power. A tour through Buckingham Palace introduces guests to impressive state rooms, and gives them a peek into the lives of the royal children through the new palace exhibition. A trip to Windsor completes this Newmarket Holidays tour. A trip to lovely Windsor on Day One finds guests strolling down Windsor's cobbled Church Street, where there is an air of having travelled back in time. The classic buildings in this district have stood for several hundred years, and include the house where Eleanor "Nell" Gwynne, mistress of King Charles II, lived. Guests can take tea at Windsor's famous Market Cross House, one of the city's oldest houses, which leans severely to the right, and just to its left is Britain's shortest street. While there is plenty of time for independent exploration, travellers have the option of going to visit Windsor Castle. After a relaxing night in a comfortable Windsor hotel, the tour returns to London for an exciting day of sightseeing. Begin with a guided tour of Buckingham Palace, where lavishly furnished State Rooms boast age-old treasures such as paintings, sculptures and furniture from the Royal Collection. A visit to the "Royal Childhood" exhibit depicts palace life for the young members of the royal family. The Garden Café on the West Terrace offers guests a stunning view of the palace's 42-acre lawn, where the Queen holds garden parties and where helicopters bearing important guests arrive. After leaving Buckingham Palace, the group takes a brief sightseeing tour of select royal sites around the city. For as long as Kings and Queens have ruled in Britain, splendid royal palaces have existed to house them. Many of these are maintained as national treasures and monuments to a fascinating history. Celebrate Britain's royal and aristocratic heritage with a Newmarket Holidays guided coach tour to these historic sites. Details of available tours can be found on the Newmarket Holidays' website, and its friendly and helpful Customer Service Team is available to help book a marvellous holiday. Newmarket Holidays offers many tour operated holidays throughout the world, from Blackpool to Italy and beyond. When the company began organising holidays thirty years ago, they started with coach tours to iconic UK destinations that were illustrated in great detail by tour managers that accompanied each trip, armed with expert knowledge of the area. While many of Newmarket Holidays’ customers travel abroad, the company still offer trips around the UK and a popular option is the 4* London Theatre Break. Most tours from Newmarket Holidays provide a well-organised itinerary, in order for customers to make the most out of each trip. The company strives to choose the best accommodation and travel arrangements, to take the hassle out of each holiday. 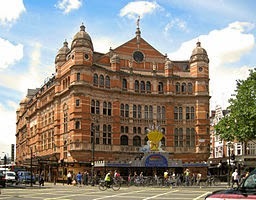 For the London Theatre Break, however, a lot of control is returned to the customer, making it one of the most flexible options. By following the instructions in the brochure regarding theatre breaks, customers can easily book their holiday through the company, safe in the knowledge that the options set aside for them have been chosen by Newmarket Holidays for quality and affordability. First of all, as it is a theatre break, customers can choose from one of many West End theatre shows that they wish to see. The choice is varied, from classic musicals such as Les Miserables, to horror story The Woman in Black and contemporary shows like Mamma Mia! ; there is plenty on offer for any customer of Newmarket Holidays. For the next important decision, it is up to the customer as to how they would like to travel. Information is provided in Newmarket Holidays’ brochure that covers the easiest ways to arrive in London, either by a coach provided by the company, by train or for customers to make their own way to the capital. Thirdly, customers will be allocated a good quality hotel or, for some tours, choose from a selection of London hotels chosen by Newmarket Holidays, including four-star rated options. The last thing to do when taking a London Theatre Break with Newmarket Holidays is to book. Whether it be through the website, or by telephone, it is simple for travellers to purchase the necessary tickets from Newmarket Holidays. If it’s about time you’ve had a holiday, contact Newmarket Holidays. Newmarket Holidays pride themselves on providing customers with amazing vacations they’ll never forget that won’t break the bank. Newmarket Holidays can take you just about anywhere in the world, from Japan to St Tropez to Italy. Best of all, when you purchase a trip from Newmarket Holidays, they take care of all the planning. Don’t just visit an exotic destination, experience it. With their 30 years of experience, Newmarket Holidays knows how to make the most out of your visit. Newmarket Holidays has an option for everyone. They have Coach Tours for those looking to see more of the UK. If you’d rather travel by train, Newmarket Holidays can take you all around the UK and even into Europe. For those of you who prefer the smell of saltwater while you travel, Newmarket Holidays has a variety of cruise options departing from all over England. No matter what kind of getaway you’re looking for, Newmarket Holidays has an option that’s right for you. With Newmarket Holidays, you know you’re dealing with one of the most trusted names in the industry. This year they won the British Travel Award for Best Large Escorted Tours Holiday Company. This is not the first British Travel Award they’ve won either. In 2011, Newmarket Holidays was awarded Best Coach Holiday Operator. The following year they were recognised again for the Best Operator to Italy and Malta. Newmarket Holidays always accept these awards with a great deal of pride, because they know that they come from you, the traveller. As part of The Newmarket Group, Newmarket Holidays are one of the largest privately owned specialist tour operators in the UK. Each year, they help tens of thousands of customers see every corner of the earth. Their attention to detail, customer service and renowned escorted tours have made them a favourite amongst travellers in the United Kingdom. By planning the trip and keeping costs low, Newmarket Holidays make sure your only concern is having the time of your life. So don’t let another year go by without taking that much-deserved holiday. Visit their website today to see where Newmarket Holidays can take you next. Their reputation and award-winning service speak for themselves and they display all their affordable prices prominently. A great getaway is just a click away with Newmarket Holidays. Superlatives can be all too common when holiday companies describe their own products. Sometimes it can be difficult for potential customers to tell if a holiday company is going to live up to its promises. When a consumer is trying to decide which holiday company to choose, word of mouth can be very useful – as can independent review sites. Rather than wasting time scrolling through what are very often conflicting reports on how good a company is, it is sometimes very useful to be able to rely upon a ‘gold standard’. This is why the British Travel Awards perform such as useful function for consumers. A key feature of these particular Awards is that the decision-making process is extremely transparent. Rather than relying on the decisions of a few ‘industry experts’, the results are determined by ordinary British customers. 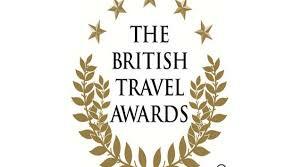 It is possible for customers to vote by visiting the British Travel Awards website www.britishtravelawards.com. The website provides details of the categories and nominees. It also provides a useful voter registration form. An Award is regarded as a benchmark of excellence within the travel industry. The benefit of winning a British Travel Award for the company concerned is that the accolade sets the company apart from its competitors. The winner is entitled to display the British Travel Awards Status Award on its website, brochures and other promotional documentation. There is also a clear benefit to consumers. They are able to instantly recognise that the company in question has been independently judged to meet a high standard with regard not only to the holidays it offers but also the level of customer service it provides. Newmarket Holidays is aware of the prestige an Award can bring. In 2011 the company was the winner in the Best Coach Holidays category. Newmarket Holidays also achieved success a year later, winning the Best Tour Operator to the Italian Peninsula and Malta accolade. This year, the company is nominated in five separate categories – which is an impressive achievement in its own right. Those categories are: Best Coach Holiday Company, Best Holiday Company to the Italian Peninsula and Malta, Best Escorted Tours Holiday Company, Best Holiday Company to the USA and Best Holiday Company for Customer Service. The company will no doubt be seeking to replicate previous years’ successes, and perhaps even return from the Awards Ceremony with multiple prizes. The Newmarket Holidays headquarters is in Surrey. The company offers a range of holiday products to its UK-based customers. These products include coach tours in the UK and Europe, holidays to destinations further afield, coach and rail breaks, cruises and private group travel. Newmarket Holidays has been trading since 1983. The company aims to deliver good value and excellent customer care. On its website, Newmarket Holidays refers to this blend of value and service as the ‘Newmarket Difference’. There is strong evidence that Newmarket Holidays has been successful in achieving the ideal blend of service and value. The travel industry has formally commended Newmarket Holidays on several occasions. One such example was in 2011 when Newmarket Holidays received the Best Coach Holiday Operator accolade at the British Travel Awards. Newmarket Holidays also seems to have achieved success in commercial terms. The company currently employs approximately 200 employees at its main office and sells travel products to thousands of UK customers each year. 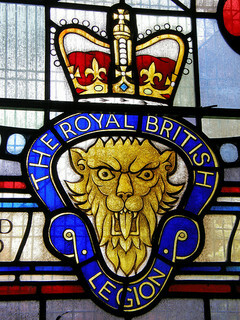 Perhaps what best demonstrates Newmarket Holidays’ solid reputation is the fact that the Royal British Legion works in partnership with the company on a number of holidays. It is difficult to conceive that the Royal British Legion would have chosen to be associated with Newmarket Holidays if there were any issues at all in relation to the standard of care provided by the company. It is of course relevant that the remembrance tour customer base is made up partially of veterans themselves. It is fair to say that such customers, due to their advanced years, will sometimes require a little bit extra in terms of care and assistance. The Royal British Legion will have been careful to satisfy itself that Newmarket Holidays was in a position to provide all necessary assistance before it became associated with the company. Newmarket Holidays offers coach holidays to the battlefields of northern Europe. These holidays include good hotel accommodation and fully guided tours, not just of the battlefields but also of various museums. These trips come with the services of a Newmarket Holidays Tour Manager. The company also offers journeys to the centres of some of the less well-known campaigns of the Second World War. 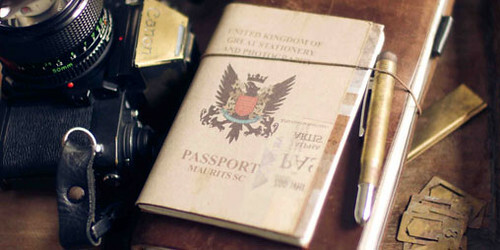 Customers are able to travel to the Far East, India, Malta or Italy accompanied by a Royal British Legion expert guide. Newmarket Holidays | Named “Best Tour Operator"
Newmarket Holidays is an award-winning Surrey-based travel-arrangement firm, offering trips originating from the UK to worldwide locations. Their roster of trips, breaks and holidays have kept thousands of satisfied customers coming back. The experienced and knowledgeable professionals employed by Newmarket Holidays help to keep travelers safe and secure, and are always available on trips to offer their clients advice and suggestions. Newmarket Holidays was named the “Best Coach Holiday Operator” in 2011 and ”Best Tour Operator to Italy and Malta”in 2012, at the British Travel Awards, a prestigious award that the company is proud of. Newmarket Holidays also operates short trips of a few days, or longer trips, for individuals groups, associations and organisations. Newmarket Holidays works with customers to book travel and accommodation in the UK, around Europe, and worldwide. Customers have found that Newmarket Holidays have earned their reputation as a value tour provider for their money. Newmarket Holidays has been promoted by the British newspaper industry for their “Reader Holidays”, and for families looking for a fun and exciting holiday that everyone can enjoy. Newmarket Holidays credits their customer service as the reason for its success. The company is one of the largest independent travel operators, with professional staff who are adept at making arrangements. They make themselves available to the traveler and provide detailed preparation instructions to take the guesswork out of travel. Newmarket Holidays even offers cruise breaks on a variety of cruise lines. Newmarket Holidays can offer travel arrangements with Discover Olympia and Marco Polo cruises, which leave from any number of British ports. Nothing compares to the adventure of sea travel and the opportunity to see many different destinations within one trip. Cruises offer the added benefit of providing on-board food, lodging and entertainment and with luxury accommodation provided by these cruise lines, customers can enjoy the atmosphere of luxury hotel accommodation as they sail from port to port. Newmarket Holidays offers both ocean-going cruises and river cruises. All in all, Newmarket Holidays remains a solid option for travelers of all kinds in the UK. Taking the hard work out of traveling, they allow the customer to simply enjoy the adventure of travel.